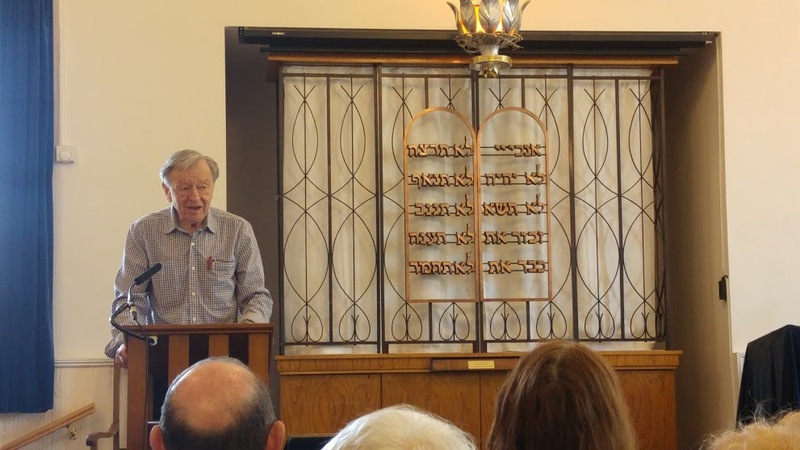 What a privilege to hear Lord Dubs talk last Sunday about the amazing work he has been doing to help a new generation of unaccompanied child refugees in Europe and on their arrival to the UK. And it was great that so many members came to hear this inspiring speaker. 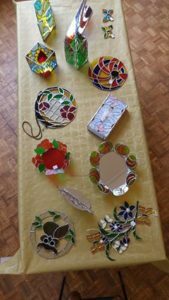 Thank you to everyone – no fewer than 22 – who contributed to a delicious and varied array of food dishes and those who helped with the ogranisation and in the kitchen. We are delighted to announce that Carolynne Farrer is to become our new Beiteinu Head Teacher. 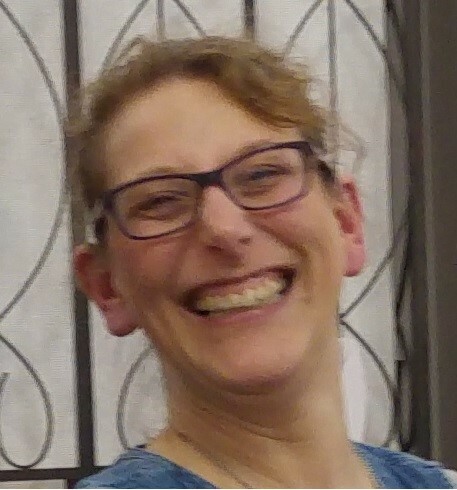 Carolynne is well known to members and students having taught previously at Beiteinu. Congratulations Carolynne. We are looking forward to having you back! What a fantastic performance by the B’nei Mitzvah class at the family service on Saturday 21 April. They performed a play, the Golden Calf, written by one of the members of the class. Congratulations to all of them. 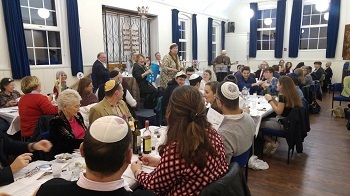 It’s a real pleasure to be the rabbi of this wonderful and long-established Liberal community situated close to Kingston upon Thames and Surbiton. Kingston Liberal Synagogue is a congregation with a great deal of energy and enthusiasm. We welcome all who want to participate in our spiritual, religious, social and community activities, experience life cycle events, and participate in lifelong learning. We are a diverse congregation which is welcoming to any individual or family. This includes households where not every member of the household was born Jewish or is currently Jewish. I very much look forward to meeting and greeting you. We are introducing the new LJ draft siddur once a month in our Shabbat morning worship. A team of rabbis, including our own Rabbi René, have worked to design this new siddur. The draft is meant to be used for a year to see how our community responds. Our current siddur was published in the middle of the 1990s, combining traditional elements and new ones. Judaism has always been Progressive, and the process is never ending. Taking part in the creation of a new form of prayer book is an exciting experience, and our new siddur should reflect our understanding of Progressive Judaism today, the ongoing conversation with our age-old tradition and the challenges of modern times. The KT class of 5777 led a wonderful, creative, thought-provoking and innovative service last Saturday. 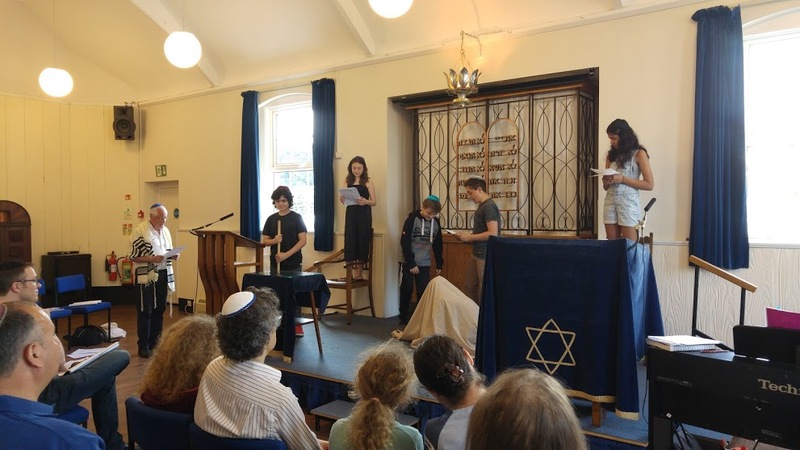 Mazel tov to Lily Roberts; Nathan Simmons; Joshua Wuggenig; Fran Fornasiero; Gideon Farrer; Zoë Mendelson; Guy Morad; Max Fornasiero; and Hannah Royle. You can tell from the photo they enjoyed doing it and we admired how well they worked together as a team. Watch their sermon on the themes of sacrifice, responsibility and tribes, based on the Torah portion for the week – T’tzavveh. The well-attended service on Friday 24 February was a wonderful occasion. 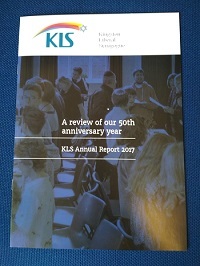 Rabbi René was welcomed at his first service as KLS’s new rabbi with a joyful Shecheyanu. And we heard the story of Chloe Alaghband-Zadeh’s journey from KLS religion school to Cambridge where she researches a genre of Indian music called Thumri with a passion. She also stepped in at the last minute to play the piano including her choice of Adon Olam to the tune of Scarborough Fair. 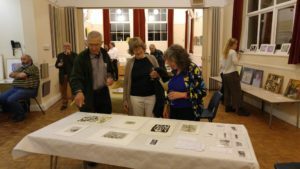 A wonderful time was had by over 70 people who came to this great evening. We tasted some unusual wine and cheese pairings whilst admiring some beautiful artistic creations from our members and extended community. KLS member wins Bronze medal at the Invictus Games!! !